You want to get away from town but you want your children to go to a good school. Saddle Creek is the answer. 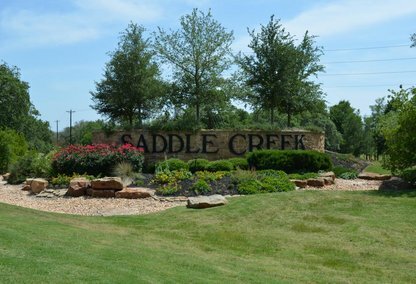 Saddle Creek feeds into Greens Prairie Elementary School which opened in 2011 and Cypress Grove Intermediate School which are part of the College Station ISD. This neighborhood has a pool, park, basketball court, athletic fields, and a pavilion for your enjoyment. Home must be at least 2350 square feet and 80 percent masonry.